No trip into Texas history is complete without a visit to San Felipe de Austin. So of course, we had to stop in for a visit here during our trip to San Felipe. When the Father of Texas, Stephen F Austin, brought the initial "Old 300" settlers to Texas to colonize under a contract with the Mexican government, he selected San Felipe de Austin as the capital of his colony. In 1823, the town was named for Stephen F Austin and Mexican government official Felipe de la Garza. Historians report that the locals referred to it simply as Austin. Located on a bluff overlooking fertile land for crops and along the Brazos River, this location was perfect to serve as the center of farming, trade, and social growth for Austin's colony. During it's heyday, San Felipe de Austin served as home to the colonial land office, cotton trading center, and as the focal point of the Texas postal service. By 1835 the town boasted a booming population approaching 600 residents within its municipal boundaries and was the second largest commercial center (San Antonio was the largest). William Barrett Travis had his law office in San Felipe de Austin. The roots of the publishing industry in Texas are largely here. The printing press responsible for the first printed book in Texas was located in San Felipe de Austin, The Texas Gazette began publication here in 1829 and the Telegraph and Texas Register launched here in 1835. Interestingly, the Telegraph and Texas Register was started by Gail Borden who went on to found Borden's Milk! His paper is recognized as the journal of the Texas Revolution. In preparation for the Revolution, the Texas Conventions of 1832 and 1833 met in San Felipe de Austin, and the town served as the interim capital of Texas between November 1835 and March 1836. After the Texians were defeated at the Alamo, General Sam Houston and his men retreated through here on their way to San Jacinto. To defend their crossing at the Brazos River and keep the town from falling into the hands of Santa Ana's army, the people of San Felipe de Austin burned their town completely to the ground while all of its residents fled in what became known as the Runaway Scrape. When Santa Ana and his soldiers arrived in San Felipe, they found little more than a few chimneys, a brick oven, and a lot of destruction. They were unable to resupply or cross the Brazos River here. Following Texas Independence, the town was reestablished as San Felipe and served briefly as the county seat of Austin County. However, the town never regained its momentum and the county administration relocated to Bellville in 1846. In 1928, residents of San Felipe began holding annual celebrations honoring Stephen F Austin and the early settlers of their town. School children sold buttons to raise funds for a very impressive stone marker that greets visitors today. Also currently at the historic site, a replica of a log home, a bronze statue of Stephen F Austin, and the historic Josey Store (Built in 1847, this was the last store built in town after the 1836 burn.). Happily, this site is currently expanding. In 2018, an awesome, interactive museum was opened across the street on the expanded grounds. Outside of the museum, you'll also find an interpretive trail with signs describing structures that once stood there. Most exciting are the future plans for the site. Archeologists plan to continue excavations to identify Santa Ana's military camp, as well as more information about what life was like in the town prior to its burning. By 2020, they hope to have several replica structures in place to give visitors a better idea of what the town might have looked like in its heyday. We're excited to come back and experience this even more immersive experience! San Felipe de Austin State Historic Site is located at 220 2nd St., San Felipe, TX 77473. The grounds are open during daylight hours. The museum is open from 9am - 5pm daily. We'd like to thank Site Manager, Bryan McAuley, for sharing the history and future plans for this interesting historic site with us. We look forward to seeing its continued development. If you would like to make a donation or want even more information, please visit the San Felipe de Austin State Historic Site website. 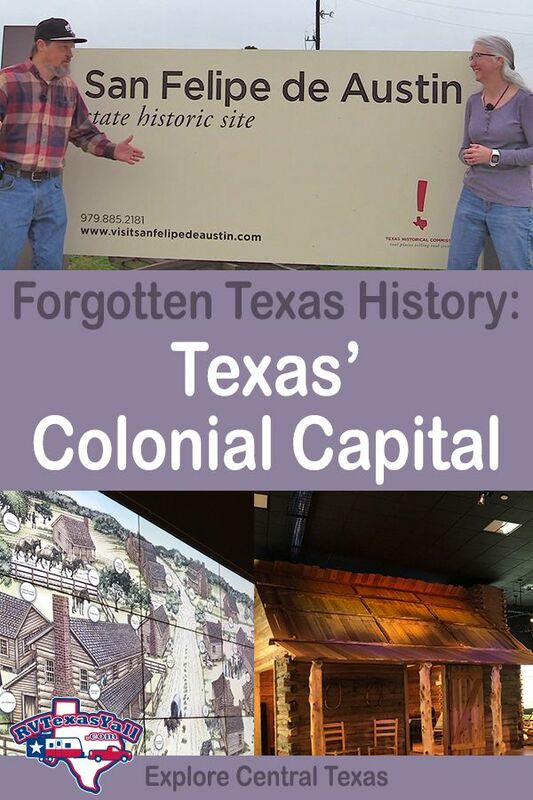 San Felipe de Austin is an absolute must visit for anyone interested in Texas history. Stephen F Austin State Park is practically right next door and is a great place to stay while you are visiting San Felipe. (The historic site used to be part of the state park.) By staying at Stephen F Austin State Park and visiting San Felipe de Austin State Historic Site, you can experience nature, wildlife and some little known Texas history all on the same trip! Riding the Texas State Railroad! The Story of Jane Long: "The Mother of Texas"
The Birthplace of Ignacio Zaragoza: The "Hero of Cinco de Mayo"
Tell Us What You Think! Alrighty you've heard what we think, now we want to hear about your experiences. Please share your pictures and comments in the RV Texas Y'all Community on Facebook or in the RV Texas Y'all Community on RVillage. Not a member of one of our communities yet? We'd love for you to participate! And, of course, they are absolutely FREE! 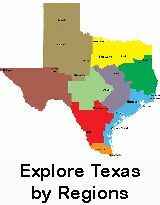 Join us to share your experiences and interact with others folks in the RV Texas Y'all communities. Want more info? Learn more about our Facebook Group!